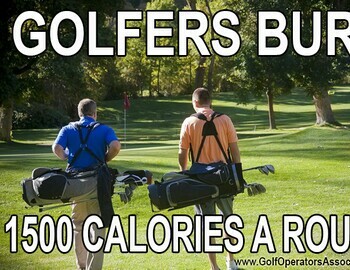 Golf Is Quite The Exercise! Golfing is often thought of as a passive sport that does not require any real degree of fitness. In reality, golf incorporates cardiovascular exercise, strength training, and even balance and coordination. With all of these benefits, it's hard to say no to a game of golf. One of the best parts of golf, from a fitness standpoint, is the high amount of cardiovascular activity that is involved in the sport. Think about it--most golf courses are spread over multiple acres of hilly ground. Therefore, walking across a golf course is a great way to improve your cardiovascular system. Cardiovascular exercise is thought of as biking, swimming or jogging. However, when you walk (and not ride in a golf cart) during your golf game, you are sure to get the same kinds of cardiovascular benefits. Golf is a great way to exercise your body. However, as recent research has found, this is not the only type of exercise that your body needs. Exercising your brain is also very important not only for long life, but also for the prevention of brain degradation, which can result in memory loss. Golfing forces you to remember numbers, images, and even specific tips and techniques. Therefore, it is a great all-around way to exercise both body and mind.